At Bolton Skip Hire, we offer a full range of skip hire facilities with our commercial, industrial, and domestic skips. We have over 20 years of experience as waste disposal experts. Our team of specialist can help you to create the most effective waste management solution to meet your business requirements. Are you looking for skips in Blackrod? We can supply you with a wide selection of skips to suit your needs. Do you need to remove large amounts of construction and industrial waste materials? Then our larger industrial skips are perfect for your company. Our well-organised service will process your waste quickly and effectively. We supply huge 22-40 yard containers, which can handle all your unwanted products. If you need smaller skips, we also provide 8 yard and 10 yard containers. Our range of commercial skips are suitable for any commercial company. We are convinced that no job is too large or too small for us. Business waste requirements vary from company to company, so we seek to personalise our service for each client. Are you working on a home project? Whether you require small or large skips, we have a fantastic range for you to choose from. Our domestic skips are excellent for house and garden clearances, as well as home improvement ventures. We recommend that you use our skip hire provision instead of using your own vehicle – you could damage it, which might lead to costly repairs. If you are in the Blackrod region, you will find that our skips are affordable and easy to hire. There are no hidden charges when you hire our skips and containers and we believe that they represent superb value. 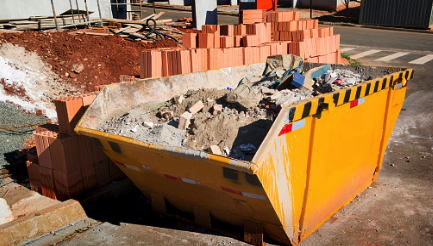 Do you need help selecting the correct size skip? We are here to help you to choose the most appropriate container. Would you like more information? Please contact us now on 01204 383737. Or why not fill in our online query form today?